Wonders of Beauty: What's New: Nars, Real Techniques, MAC, Organix, etc. What's New: Nars, Real Techniques, MAC, Organix, etc. I felt like I hadn't made any purchases in a while so last week I decided to go into town and I guess treat myself to a few things. Uni is very stressful at the moment and like most of us, shopping never fails to make me happy. 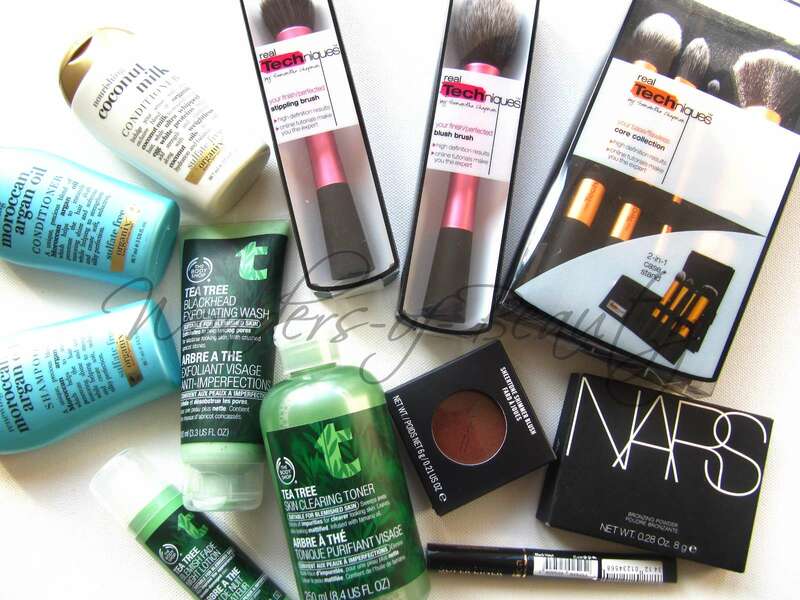 As always, I thought I'd show you the beauty products that I came back with. 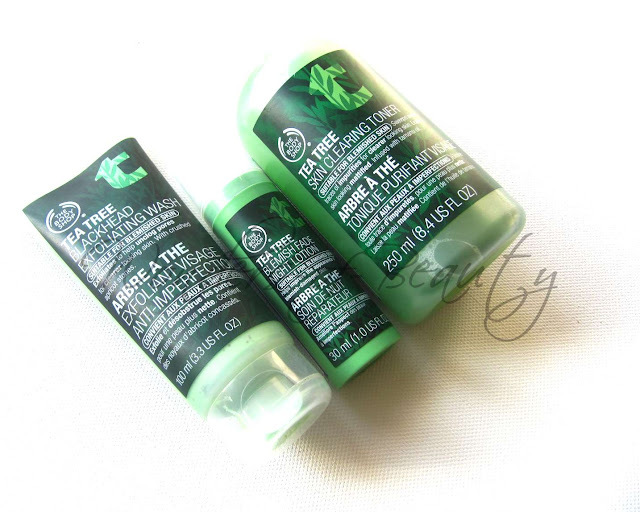 For some reason, my skin has been acting up a little recently and I had previously gone into The Body Shop with my friend the week before last as she had heard good things about their Tea Tree range; the 'Blemish Fade Night Lotion' in particular. Initially I was going to wait until she had tried it out for a while and then get her feedback on it but I was feeling impatient and decided to head back and purchase them for myself. At the time they were doing a deal along the lines of "Buy 3 skincare items and get £5 off". I can't remember the exact offer to be honest but I ended up going for 'Blackhead Exfoliating Wash', 'Skin Clearing Toner' and of course the 'Blemish Fade Night Lotion'. At the moment, Herbal Essences Hello Hydration is just not doing it for me so I wanted to try out something else. 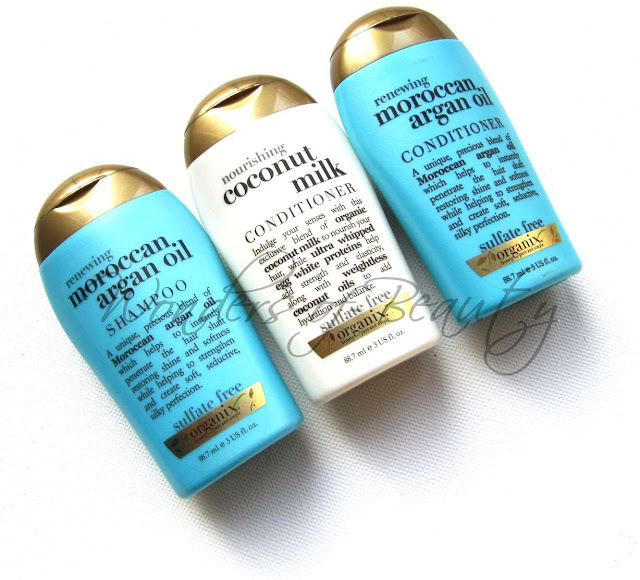 I love argan oil so I picked up the Organix Moroccan Argan Oil Shampoo and Conditioner and also their Coconut Milk Conditioner as Boots were doing a 3 for 2 offer. After purchasing these, I came home to read a lot of negative reviews on these so I have been reluctant to try them out =/ . 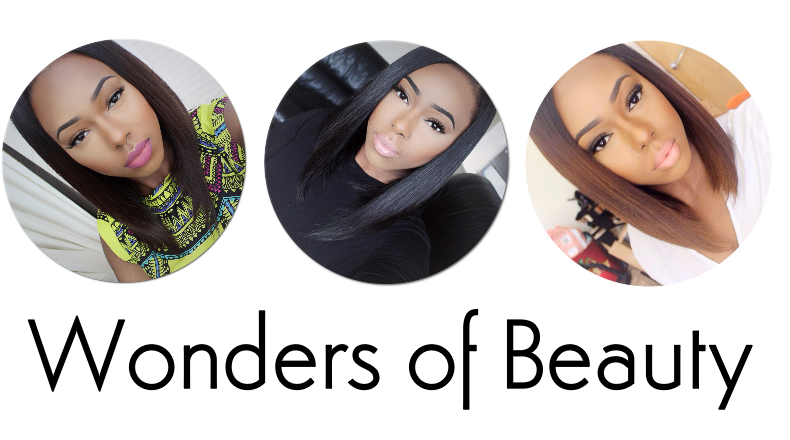 If you use these, please let me know what you think! Okay so if you're like me and you were excited about the good weather we've been having recently, you would agree that it's time to get glowing! I actually ordered this from ASOS whilst they were doing their 25% off discount for students. 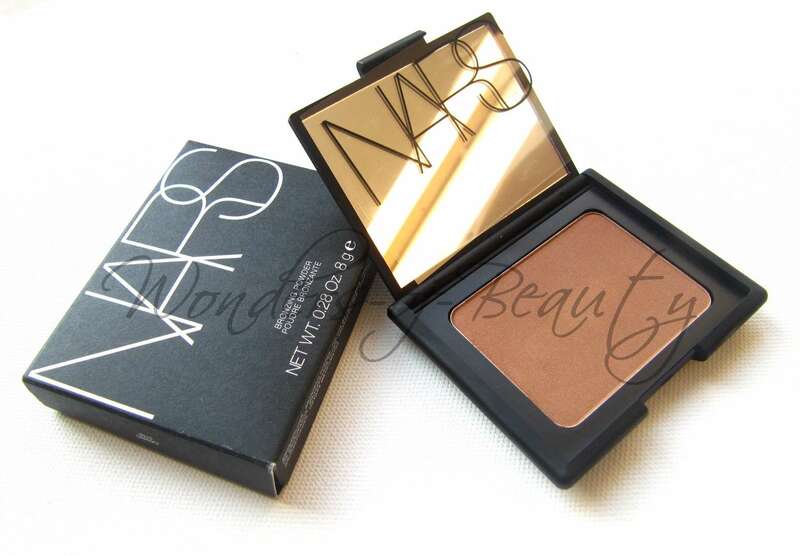 I had never seen this bronzer in person so I bought this based on images floating on Google hoping that it would be dark enough to show up on my skin tone. Unfortunately not! It doesn't show up how I would like it to but you can see some of the subtle shimmer. 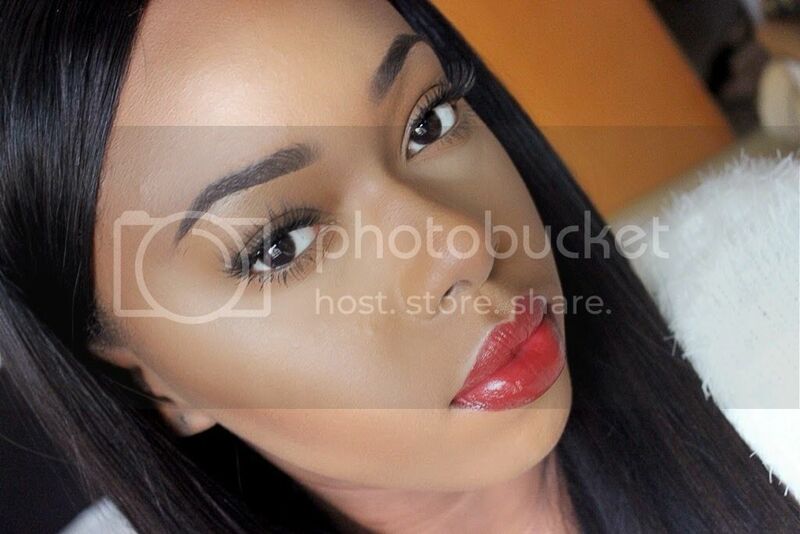 I wouldn't advise anyone of my skin tone or darker to go for this shade (which I think is the darkest NARS goes). I've wanted this blush for a long time but avoided buying because I thought it was very similar to MAC Format Blush which I own. I still think it is actually but I would say 'Sweet as Cocoa' has more red tones. 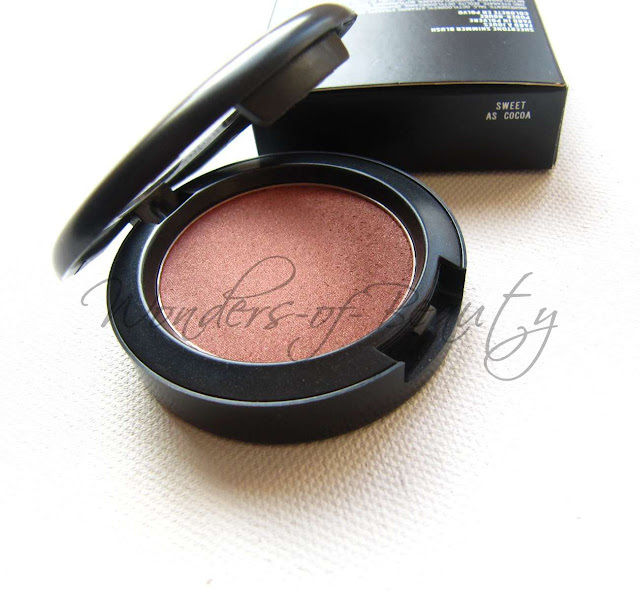 This blush really complements women of colour and is a great everyday blush or for those who are just starting to wear blush. So I've used L'Oreal Super Liner Carbon Gloss, Super Liner Perfect Slim and now I have purchased the Super Liner Black Lacquer. 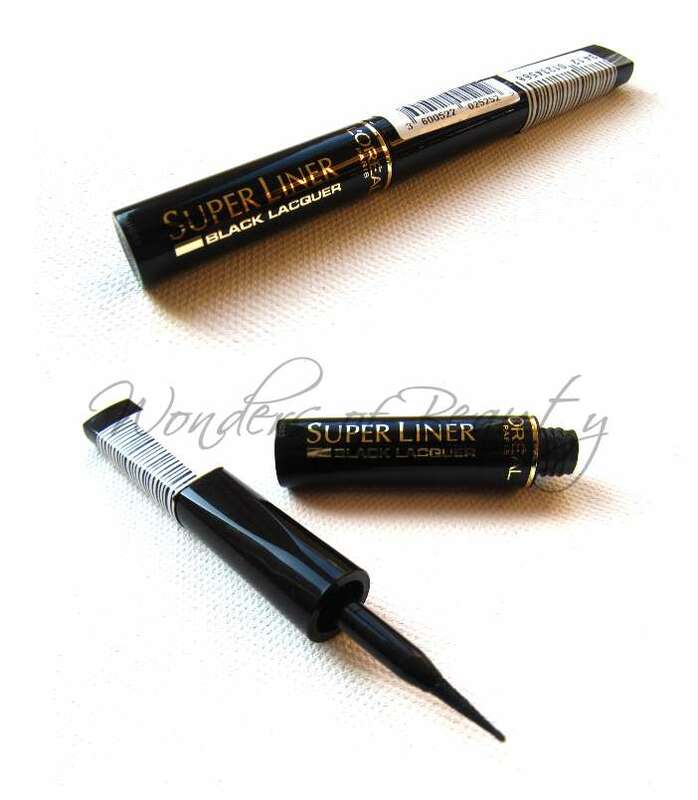 Aimlessly walking around Superdrug as I usually do, I decided to buy the Super Liner in Black Lacquer. No reason in particular, just wanted to try something new! 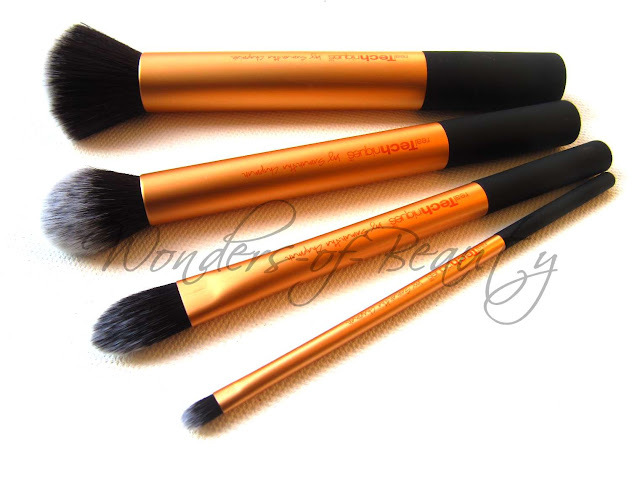 Last but not least, I wanted to show you the Real Techniques brushes that I purchased after so many weeks of deliberation. With them on a 3 for 2 offer, how could I resist?! I've heard and read nothing but great reviews on these brushes by makeup artist Samantha Chapman from Pixiwoo on YouTube, so I just had to take advantage of the offer that Boots had on. I'm not sure if they've still got their 3 for 2 offer on but if they do, make sure you definitely think about getting these brushes. I paid 30-something pounds for 6 decent quality brushes! I chose to get the Core Collection, Blush Brush and Stippling Brush. 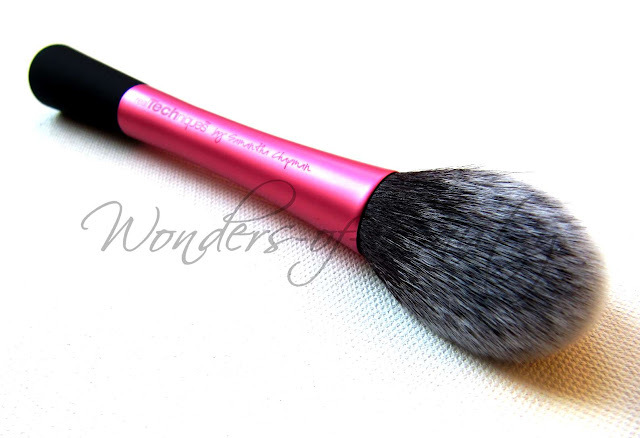 They are all very soft, especially the blush brush! There are other brushes/sets to choose from though. 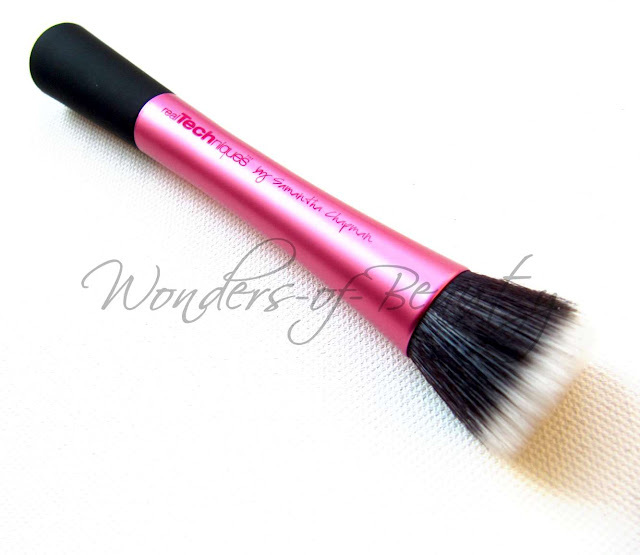 If you haven't heard about the Real Techniques brushes make sure you Google or YouTube them!